CHARM - SARAH COVENTRY. 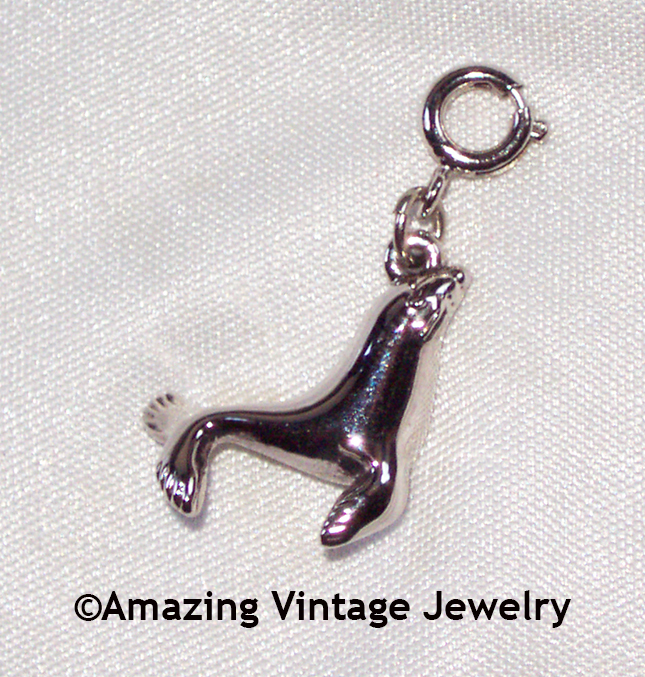 "ENDANGERED SPECIES CHARM - SEAL" FROM THE 1979 "ENDANGERED SPECIES CHARM COLLECTION". SILVERTONE. 1 1/4" LONG (INCLUDING CLASP AND DANGLES), 3/4" ACROSS. VERY GOOD CONDITION.